I grew up in Bangor, Maine. It was a great place for a kid to be raised, a safe town with a stellar school system and strong support for athletics, which is something that once encompassed me (and now...not so much.) But one thing it didn't have was a strong reason for anyone over eighteen to stick around. The downtown was then largely deserted, and options for food and drink were sparse. But there was always this. 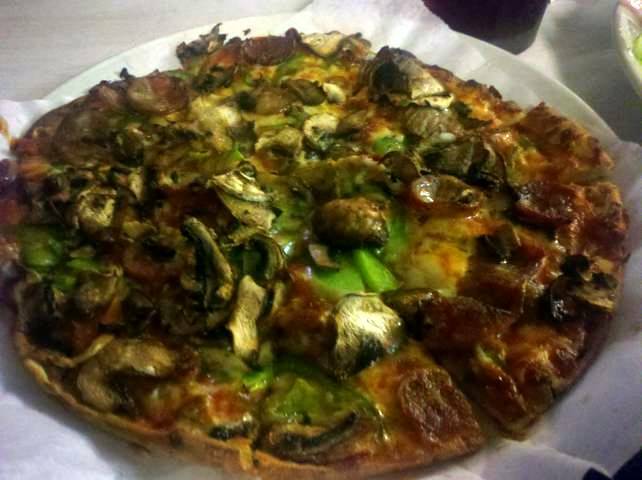 Along with our other family favorites in town, Panda Garden and Pepino's Mexican Restaurant (we ate at Pepino's, but sorry, no pictures) Pat's Pizza has been a staple for decades. 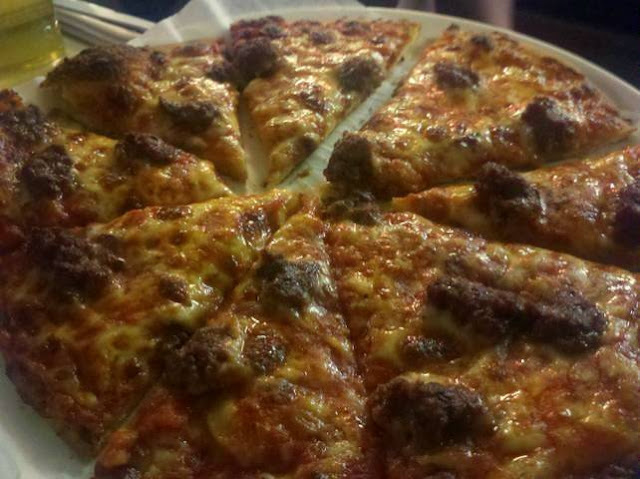 Pat's makes thin-crust pan pizza, little 9" individual ones cut into eight slices. Part of the charm is in the diminutive size of the tiny little slices, with their nicely-browned cheese and flavorful sauce. 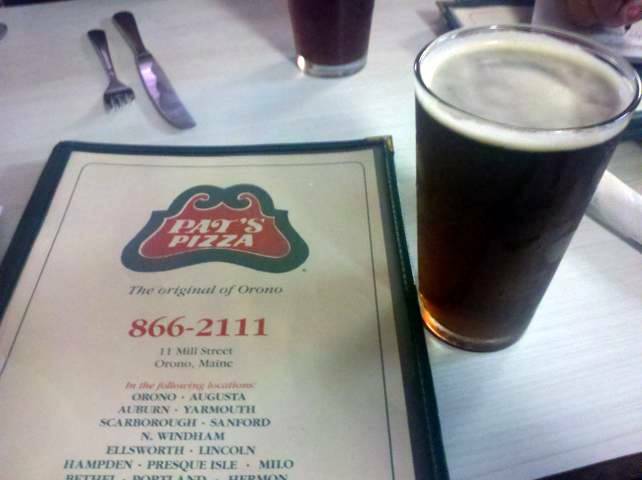 Pat's pizza with "hamburg". Irresistible. The owner said this is actually great if you get it with pickles. Then he brought us some complementary fries. I think he was in a burger mood. The fries, by the way, were outstanding. On this occasion, I was especially delighted to see that on their beer menu was Black Bear Microbrew's Gearhead Ale, which is a brewery next door run by an old friend, Tim Gallon. Black Bear Microbrew's Gearhead Ale, a very malty amber ale that went well with the food. Especially the fries. And this, the fact that a person I grew up with is still there and producing things I would want to have, shows how things have changed in Bangor. The movement towards DIY artisanal, hand-crafted, Brooklynesque culture that has spread across most of the country has landed square in my hometown, and I'm happy to report that there is ample reason for young people to want to stay there. Beer, for example, has completely taken off there. I visited another old friend's store, Bangor Wine & Cheese, and found a number of rare items on their shelves. 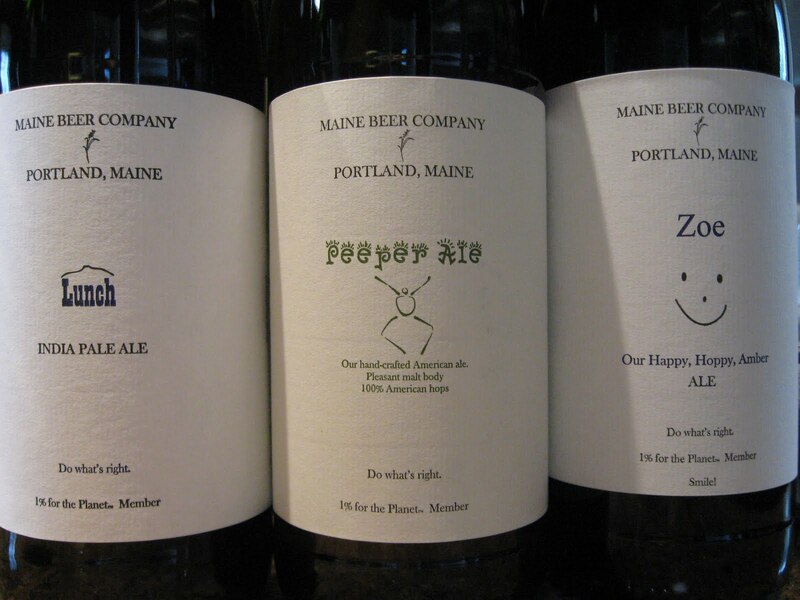 I left Bangor with an oak-aged Flanders Red, which is a slightly sour ale from Belgium, a collaboration between two gypsy brewers, and four local products: a Rising Tide pale ale, and each of the three available offerings from Maine Beer Company, a nanobrewery that has immediately established itself as one of the best breweries in the northeast. 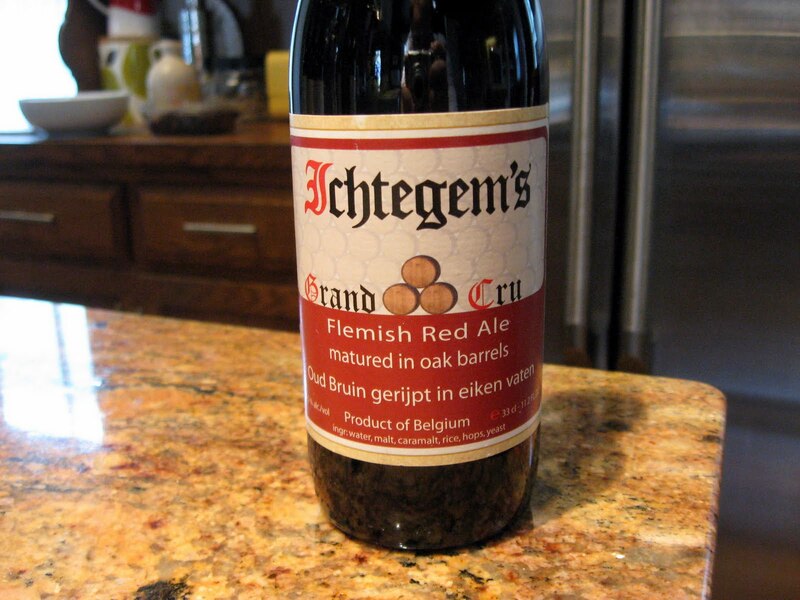 Ichtegem's Grand Cru. I have no experience with this sour style beyond Rodenbach Grand Cru, so I'm eager to try this one. A farmhouse ale collaboration between the Dane Mikkeller and Baltimore's Stillwater Artisanal Ales, two brewers who use other's brewery space to make their beers. 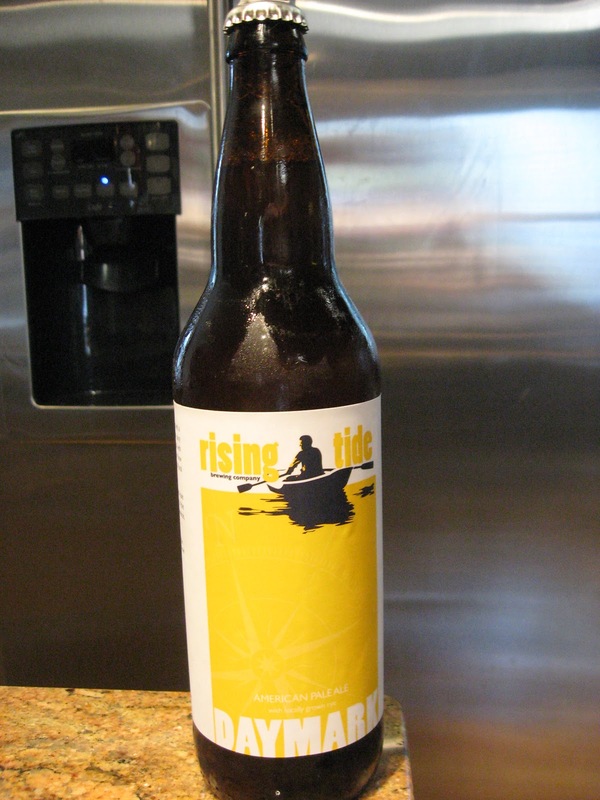 We haven't had a chance to try this one yet. Lunch, Peeper, and Zoe. Fast-growing hoppy legends from a tiny producer near Portland, ME. And that's just from the stores. We also spent an evening at Nocturnem Draft Haus, a place that honestly has a selection well beyond anything in my Upper West Side neighborhood. Between the three of us we tried a lambic on cask (St. Louis framboise), a cocoa-vanilla stout (Dieu de Ciel Aphrodite), a trappist ale (Rochefort 8), a trappist take on a brown ale (Tilburg Dutch Brown), and an oak-aged trappist pale ale (La Trappe Isid'or). I'm not sure why they all ended up being Belgian or otherwise trappist, but man, that place has a killer selection. Also, board games. 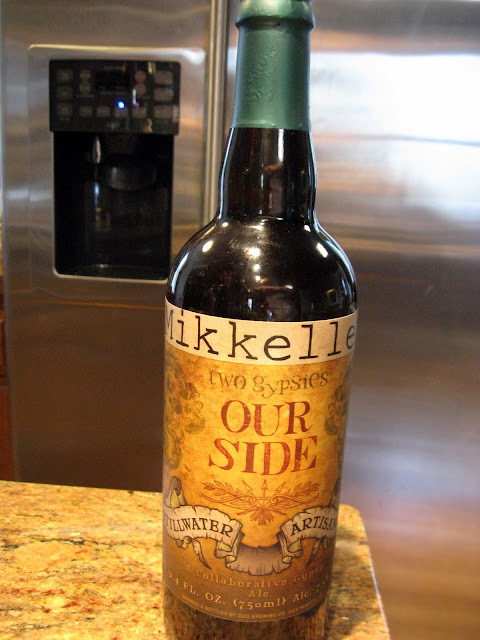 My sister and I sipped our ales while Mrs. Quail wiped the floor with us in Othello. You've gotta love a board game that makes the black and white game pieces explicitly racial. Black won out. All the while, a talented local singer-songwriter, Lady Lamb the Beekeeper, was belting her heart out on the other side of the room. She was there as part of a fairly large music festival going on by the rejuvenated waterfront, with headliners My Morning Jacket and Lupe Fiasco. Seriously, this kind of thing never happened when I lived there. 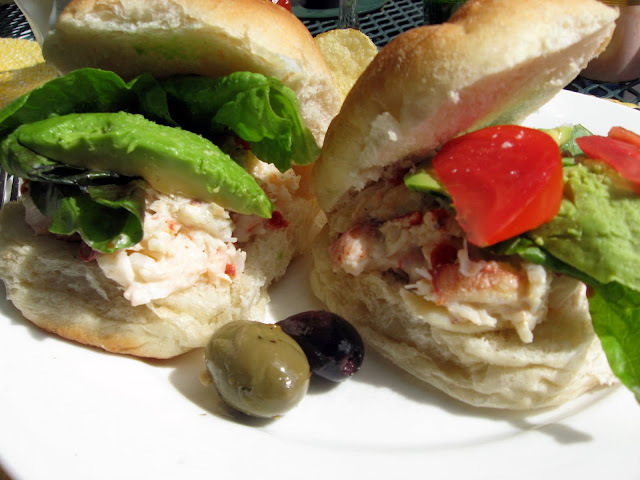 But still, sometimes I like to go home just for the familiar things that always taste better there, like the Maine crab and lobster salad sandwiches below, served on the light and lovely Cohen's hard rolls from the Bangor Rye Bakery. The crab here is always more flavorful than the Maine crab we get in NYC (the lobster is comparable, but cheaper.) Not pictured is the sriracha we added, which was notable for being some extra-fiery deep red version from the depths of Hades. Wonderful stuff. We washed it down with a Languedoc white wine also purchased at Bangor Wine and Cheese, and enjoyed the August sun on the back porch of the house I grew up in. On the way back to New York, it rained. A lot. There is something slightly magical about the pizza you grew up eating; I'm currently in Massachusetts, at the house/lake where I spent the summers growing up, and the one absolutely non-negotiable activity (besides swimming, or course) is going to Ernie's, a restaurant that serves what I consider to be the best pizza in the world. The god of pizza could emerge from a giant pizza oven, dough ball in one hand and mozzarella ball in the other, and offer me the best pizza the gods could make, and I still would want Ernie's. I'm sure it's not actually as amazing as all that, but to me, it's my childhood pizza! It's perfection.